along with the softer hues of many bricks. sharing with our kids the benefits of spatial visualization that building with LEGO bricks adds to our lives. While we embrace the creativity of all types of bricks and LEGO themes, such as Elves ~ our focus is Friends. Look around our site for inspiration & information. Join our Forum or follow Friends Bricks activities on a social network. 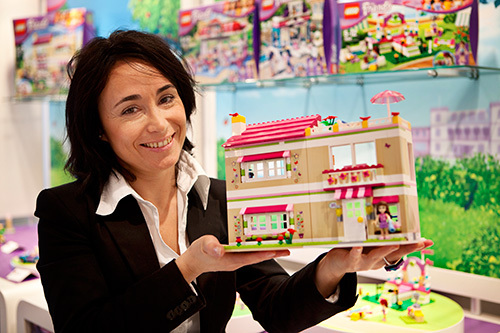 Rosario Costa is the Design Director for LEGO Friends and LEGO Brand Disney Princess. She is one of the people who started the LEGO Friends project in 2008.
experience for girls based on the System Brick,” she explains. One of the biggest differences between LEGO Friends and other LEGO themes are the figures. But why did LEGO Friends decide to create a new figure? While interviewing her, Rosario takes out two identical grey boxes of LEGO bricks. only about 10% of bricks in the sets are pink. 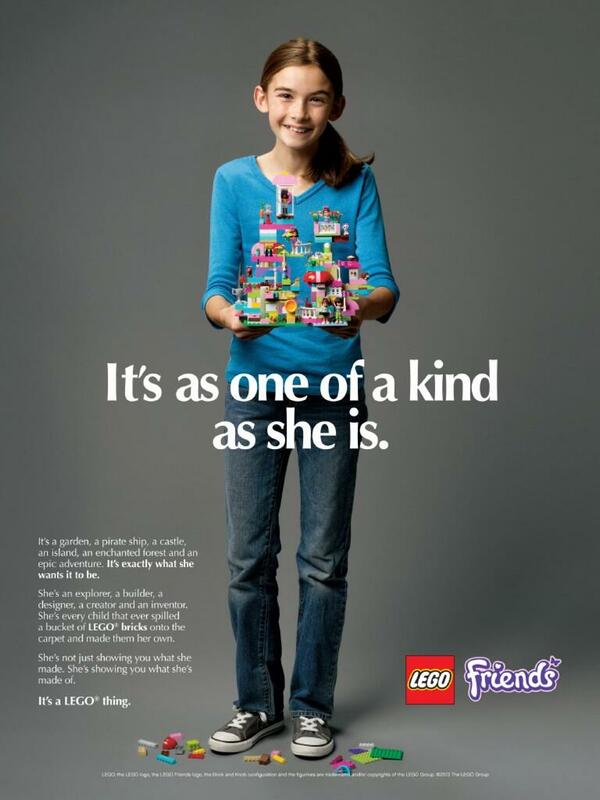 One of the more discussed topics when it comes to LEGO Friends is why The LEGO Group has chosen to target girls in the first place. groups. Star Wars, for instance, more targeted towards the boys. That doesn’t mean that some girls don’t want to buy Star Wars sets. And that is great,” Rosario says. “And remember, you can combine LEGO Friends bricks with other LEGO themes. If you think of a family they usually have all their bricks mixed together in a big bin. So your kids, no matter the gender, can sit on the floor and play with the same bricks,” Rosario says.